Pat didn’t want much. Close to retiring after decades of working, she was ready to leave the noisy congested city and relax in a quiet, tree-lined neighborhood. She dreamed of a small single wide and just enough yard for a garden. She figured it couldn’t be too difficult to do; People buy and install manufactured homes every day. Unfortunately for her, it turned into a manufactured home installation horror story. Pat researched to find the make and model that best suited her lifestyle. She wanted something simple and small, eventually deciding on a gray 644 square foot single wide. Her next job was to find land for her new manufactured home. Patricia eventually found a half acre lot with an old home on it (seen below). It was right across the street from a popular golf course. The view was great and the possibilities for her new home was exciting. The lot with the old home that was deemed uninhabitable. The home would be demolished and Pat’s new single wide would be installed. Well, should have been installed…. You can tell the neighborhood across from the golf course once thrived. Cute middle-class homes line the streets but the factories slowly left and the people followed, leaving many homes to sit abandoned. If you walk through the neighborhood you won’t see a manufactured home anywhere. Dilapidated homes, yes. 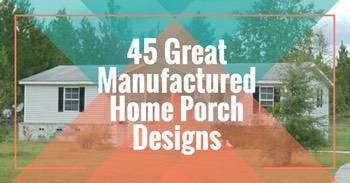 Manufactured homes, no. The township’s website brags about its low crime, high median income, and above average home values. It’s a town where you want to raise kids and build a dream home. The events that occurred after Pat bought the land is a true manufactured home installation horror story that will boggle your mind or infuriate you, probably both. As it turns out, Pat could have any kind of home she wanted on that lot except the one she bought. This is a story of over-regulation, confusing and complicated permitting and inspection processes, poor communication, and terrible consumer education. Pat’s new single wide manufactured home. Patricia’s plan was simple: she would buy the property, demolish the abandoned home, and install a brand new single wide in its place. It should’ve been quick and easy. She should be living in her new manufactured home, enjoying her retirement and have friends and family over for Sunday dinners. Sipping tea on the front porch while watching the golfers. Instead, she is sharing her manufactured home installation horror story with us in hopes that she can save someone else from her nightmare experience. Pat’s timeline, from the moment she found the property to the moment she finally gave up fighting, is mind-boggling. Pat jumped obstacle after obstacle. When one issue was remedied another one popped up soon after and this continued for over a year. Like most of us, Pat had never dealt with permits, inspectors. She was a city girl buying her first piece of private property. Of course, she researched best she could but it didn’t prepare her what followed. October 2015: Pat was shown the property and immediately liked it. She then visited the manufactured home dealership and the salesman advised her to check with the township to see if manufactured homes were allowed. October 2015: Pat pays the $500 zoning board fee to get a hearing date in November. Click here to read the ZONING, SUBDIVISION AND LAND DEVELOPMENT LAW IN PENNSYLVANIA provided by SALZMANN HUGHES, P.C. 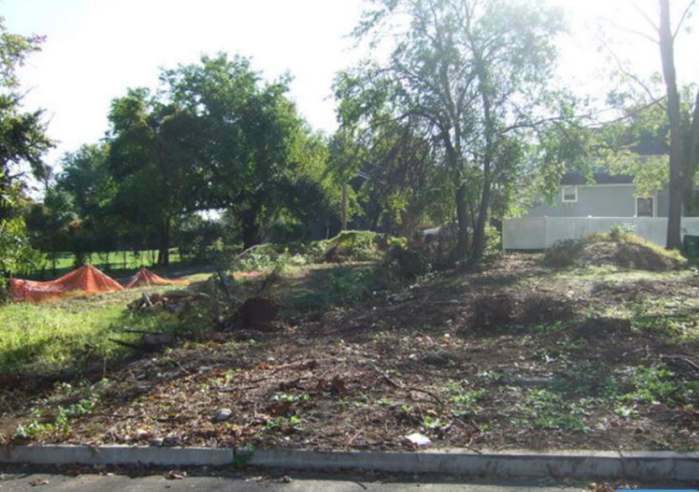 November 2015: Pat put a tentative offer on the land pending approval from the zoning board. November 2015: She goes in front of the zoning board with a tentative site plan and they approve it. She has been given permission from the town to demolish the old home and install a new manufactured home on the property. January 2016. Now that the plan has been approved, Pat closes on the land and puts a deposit on the new manufactured home to start the building process. The dealer said it would take a couple of months at least. She gives the bank a picture of the house and a copy of the site plan. No one seems concerned that it is a manufactured home. No red flags have been raised. January 2016. Pat begins applying for the various permits she will need to have the old home demolished and the new manufactured home installed. The town only accepts the demolition application and tells Pat she has to apply for one permit at a time. Whenever she asks the town questions about the forms or the process she is told that the town follows PA UCC building codes (click here to read the PA UCC code book). While researching for the forms, Pat is assured by the dealer that her new home meets all codes and gives her a list of their certified installers. She picks a gentleman that claimed 20 years of experience installing manufactured homes. He submits a proposal to Pat stating that the home will be installed on piers and that he will handle all utility connections to the home while meeting all codes and requirements. She accepts the proposal and hires the installer. While researching the forms, Pat is assured by the dealer that her new home meets all codes and gives her a list of their certified installers. She picks an installer with 20 years of experience. He submits a proposal to Pat stating that the home will be installed on piers and that he will handle all utility connections to the home while meeting all codes and requirements. She accepts the proposal and hires the installer. February 2016. The existing house is demolished. The lot after the old home was removed. March 2016. Pat applies for the building permit so they can begin on the foundation and pier support for the new manufactured home. It is rejected immediately. The inspector stated that the home must have a continuous foundation to protect from freezing. The installer assures Pat that the piers will be below the frost line per manufacturer’s recommendation and state law. The inspector doesn’t accept that the piers will be correctly installed below the frost lines. The building inspector doesn’t budge and requires a continuous wall foundation. Pat will need to hire an architect to design the foundation. March 2016. Pat hires an architect and they design the continuous foundation. April 2016 – October 2016. The inspector fought the manufactured home installation every step of the way. The inspector refused to accept the Architect Seals that are provided in the home’s manual by the builder to ensure proper construction. Pat had to go to the PA State Agency to have the seal accepted as it should have been from the beginning. October 2016. The inspector finally accepts the home’s architect seals but it’s too late to start construction because the foundation contractor is concerned about freezing and he wants to wait until the Spring to start. January 2017. The dealership begins charging Pat a monthly ‘storage fee’ for having the home on their lot even though the home has been paid in full. The dealer is well aware of the situation though they don’t really care and wasn’t very helpful at all in the fight to have the industry standard architect seals accepted by the inspector. They’ve been paid for the home so they could care less. March 2017. The contractor starts working on the foundation. The inspector stops all construction to have the soil quality tested since the new continuous wall foundation is classified differently. Pat has to hire a geoengineer to certify the soil quality and confirm proper compaction, $1200 and 2 weeks later the soil is fine. March 2017. At the end of the month, the contractor resumes working on the foundation for the new manufactured home. Inspector stops all construction because it looked to him like they were cutting too close to the root system of a tree at the edge of the property. It could be a danger to someone if the healthy tree dies and falls in the street. $1800 later the tree is cut down. April 2017. The framing for the foundation and rebar is installed. Concrete is ready to be delivered. They call for an inspection. Inspector says he doesn’t see where the size of your house was approved. Oh, and the elevations seem off to him. All work is stopped until that’s straightened out. April 2017. Pat goes back in front of the zoning director and, of course, he says the size of the home is fine but for 644 square feet she will need a complete fire suppression system installed in the home. Also, the elevations of the lot are definitely off. Zoning director and inspector are adamant that the architect must have made a mistake in his calculations because the house is too high up and further excavation will be needed. The permit is pulled – no work is allowed until the excavation plan is revised. May 2017. The contractor gives Pat an estimate of $8,000 to do the additional excavation work the inspector says is needed. This is after she had to go back to the architect to have the plan foundation plan revised. Now, the water line coming into the property was not adequate to support the fire suppression system Pat was forced to install and that was going to cost another $3,000. Pat has spent thousands of dollars on surveyors, engineers, tree removal, additional architects time, and even had to go to the State Capital to have a simple architect’s seals accepted as it should have been from the get-go. She could not continue the cat and mouse game any longer. It was a tough decision to stop the project, but once it hit $45,000 over budget Pat knew the situation had clearly gotten out of control. After a year and a half of fighting, she finally gave up and walked away. 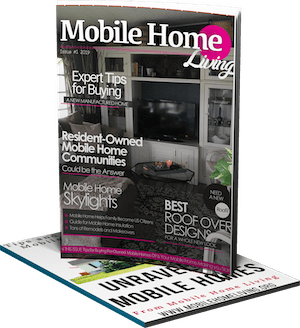 Read about Ending Mobile Home Myths and Misinformation here. Pat will never get enjoy her new manufactured home. Pat’s manufactured home installation story of trying to buy and install a manufactured home is a nightmare from beginning to end. It’s a mix of a buyer trusting that those involved were putting her best interests ahead of profit, misinformation, naivety. 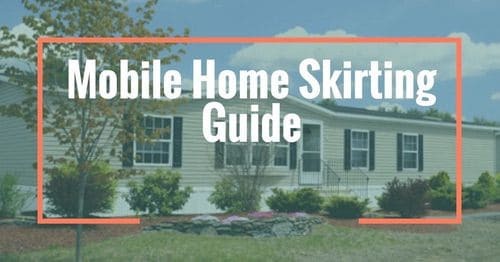 We are sharing Pat’s manufactured home installation horror story in hopes that it will help other families understand the process of buying and installing a manufactured home better. Pat admits that she did many things wrong and is the first to take the blame for this situation. She said she blames herself for being so naive to the process and trusting people that had a financial gain in the situation. “I just can’t understand why no one raised a red flag, but what I will say is whenever you are being pushed to pay you should slow the process down. The home salesman kept saying how busy they were and looking back I now know a Zoning Board Approval means nothing. They never really looked at the type of home I was building or how I would build it, when I complained about that they said that’s what permits are for. Read our best tips for hiring contractors for your manufactured home here. 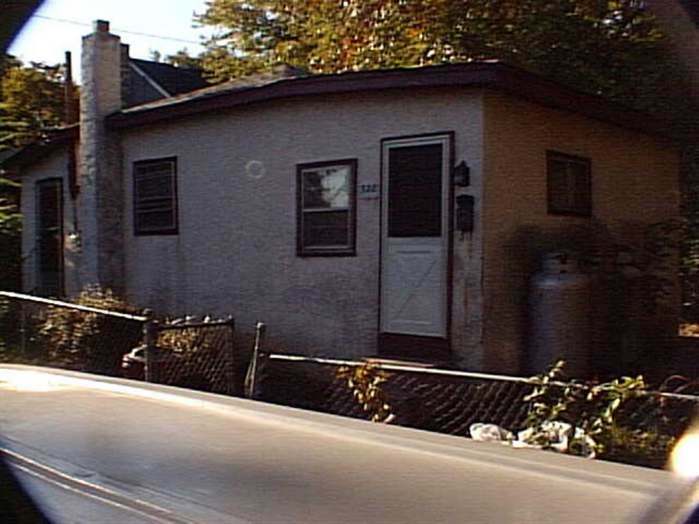 Was Manufactured Home Discrimination Involved? While there’s little proof that manufactured home discrimination played a part in the process it looks awfully suspicious. There are no manufactured homes in that neighborhood. They don’t mind having dilapidated homes falling apart around them, though. After I researched, I firmly believe that once the golf course and/or neighbors learned that a manufactured home was going to be placed in their quaint neighborhood they made a fuss and put pressure on the inspector. I have a few questions for the inspector. Granted, I’m no construction professional but I do know a couple and everyone I’ve spoken to about this has had some strong opinions. Very strong opinions. Why did he refuse to accept a seal that has been accepted as standard protocol for manufactured homes in practically every state in the nation? In most states, specific seals are only required for residential and commercial projects with a total cost of 100k or more. 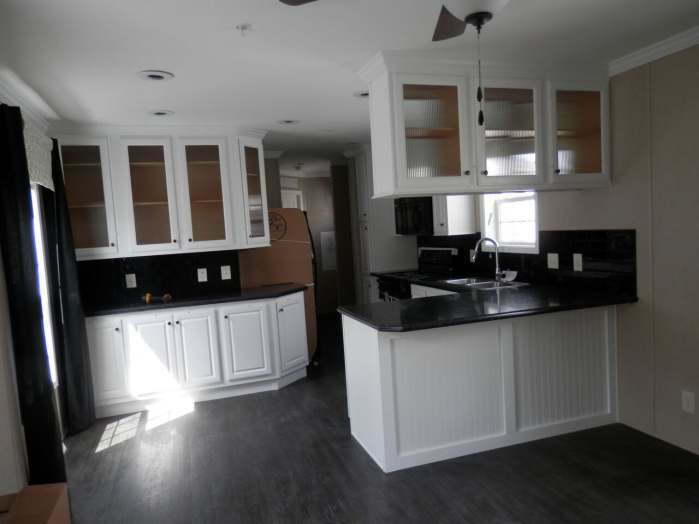 This was a $40,000 single wide with 644 square feet of living space on a lot that cost half that. Manufactured home builders usually only sell homes that meet the state and wind zone requirements. In fact, it’s a law. They can’t sell homes that can’t be installed! Granted, there are many land-use restrictions and ordinances placed on manufactured homes but that wasn’t the case here. Why was such a complicated foundation required for a 644 square foot manufactured home? The foundation, whether slab or pier, would be built to frost line specs – every installer understands that rule. It was well-documented in the site plans that were submitted to the zoning board and in the permit requests. Why was the soil test not required before the initial application was accepted? Projects that move or modify the earth significantly requires erosion control measures. These requirements must be installed and in place prior to beginning any ground disturbing activities and prior to your first building inspection. Again, this would have been part of the original site plan. Why was the tree not a problem at first inspection? The site plan provided at the very beginning had exact measurements of placement. The tree didn’t move. In most cases, tree protection requirements and inspection must be approved before other inspections can even be scheduled. That tree would have been an obvious danger or issues from the beginning. Why was the architect’s design accepted and then suddenly found to be unacceptable? Why would a small home of only 644 square feet need an in-house sprinkler system? There are only 2 states in the nation that require sprinkler systems in all residential homes. Pat’s state is one of them. However, we found that the sprinkler requirement for one- and two-family dwellings was repealed, and the repeal was made retroactive to January 1, 2011. See Section 901(g). Municipalities with legally enacted local residential sprinkler requirements (adopted in a local building code ordinance in effect on July 1, 1999, or adopted per the Section 503 amendment process after the municipality elected to administer and enforce the UCC) may continue to enforce these requirements. The township adopted the Uniform Construction Code. The series of codes included within the Uniform Construction Code are those published by the International Code Council, Inc.
Their Fire Sprinkler Permit Application also states: Fire Alarm System must be designed in accordance with NFPA 72 and the 2009 edition of International Fire Code. Read RESCUING MANUFACTURED HOUSING FROM THE PERILS OF MUNICIPAL ZONING LAWS Here. (Town’s Name) has no bias toward manufactured homes. We adhere to State and Township codes. From the beginning and throughout the review process we provided UDT Code documentation to (Pat). UDT made every effort to accommodate (Pat) throughout the permitting process for the building and the site work which includes but is not limited to foundation, plumbing, and review of grading requirements. We would welcome any review of the Department’s application of the Code for this instance as every requirement was fairly applied and (Pat’s) Design Professional can verify each item called for was based upon Code. I have no knowledge of any complaints from residents directed to me or my staff. Our staff worked diligently with (Pat) and are looking forward to (Pat) moving to (Town’s Name). How Could We Have Stopped Pat’s Manufactured Home Installation Horror Story? If bias and discrimination played even a small role in this story the only thing we can do is educate those with bias and unfounded fears. Manufactured home discrimination is no secret, many towns have clearly written laws stating that manufactured homes are not allowed in their city limits. Discrimination doesn’t get much clearer than that. A town doesn’t necessarily need a written law banning manufactured homes though. They could just leave the burden on the building inspector to make installing a manufactured home too complicated and expensive for an average person. Sounds familiar, huh? If bias didn’t play a part than it was a combination of a seriously flawed permitting process, miscommunication, and misunderstanding. I think all manufactured home installations need to be inspected by a third party that has no relationship with the dealer, installer, or buyer. Buying a home is a pretty important step in most of our lives. Buyers need a more active partner during the buying process and until we get that there will continue to be manufactured home installation horror story like Pats. Read our top 30 tips for buying and financing a manufactured home here. Maybe potential manufactured home buyers need a neutral liaison that is knowledgeable about the process of buying and installing a manufactured home and have nothing to gain in the situation. A person that can help potential buyers understand what their rights and responsibilities and can explain everything without the burden of making a sale hanging over their head. Read why you need a manufactured home inspection here. Manufactured home buyers also need better protections when it comes to the buying process. 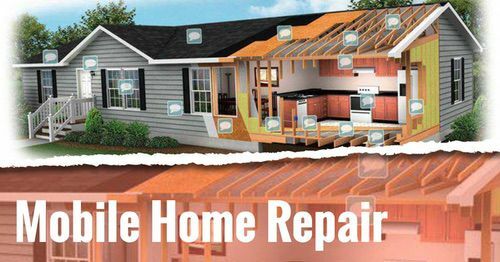 From the start, there are already three separate agencies involved: a dealer that sells us the homes, a bank that finances the home, and an installer that installs the home. All three will get monetary gain from the sale. Read about warranties and how to handle issues after you buy a manufactured home here. Maybe we need a clause like they use in traditional home sales where the buyer can back out should the installation be impossible. In the real estate world, a buyer has protections that allow them to back out of a sale should permits or inspection issues arise. That isn’t the case with manufactured homes. 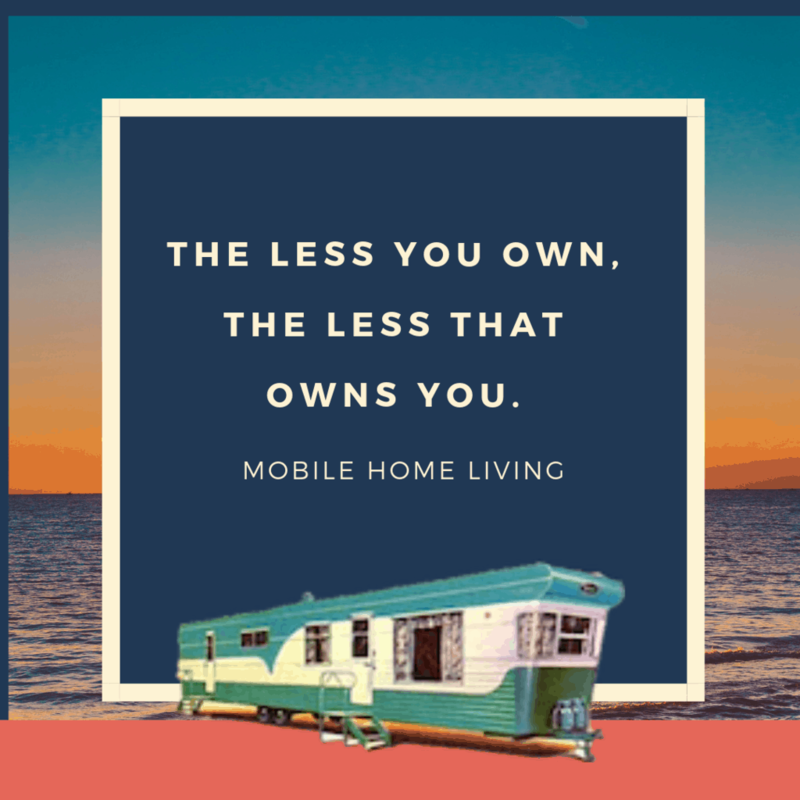 As the founder of Mobile Home Living, I’ve been fairly vocal about my love for the homes but my dislike and mistrust of the industry. Pat’s manufactured home installation horror story is another example of why I feel that way. I’ve seen my father, my uncles, my cousins, and even my in-laws deal with shady dealers and installers. My first experience with the manufactured home industry was with my parents when I was 8 years old! I remember listening to them talk about what they could do fix the leak at the fireplace of their 3-month-old double wide because the dealer wouldn’t. 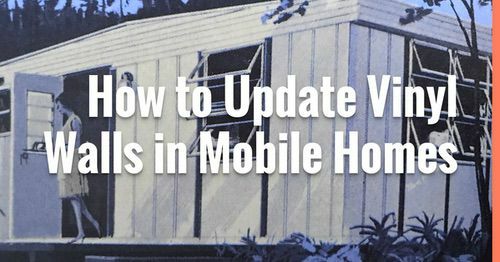 Read our ultimate manufactured home installation and setup guide here. Stop Commission-Based Pay at Dealerships! While this may not have a whole lot to do with the story above, I want to take this opportunity to disclose my dislike of the commission-based pay that manufactured home dealers use. The commission based pay system is setup to fail a home buyer from the beginning. Of course, I understand that dealerships are a profit-driven business and this is what capitalism is all about, but at the same time, how many manufactured homes will an average person buy in their lifetime? They can’t very well vote with their wallet (again) as is the great argument for capitalism. Now that Patricia has called it quits, she is selling her new manufactured home. It never even left the dealer’s lot. She’s asking $32,000 which is a loss but she needs to put this nightmare behind her. The dealer not only charged Pat for monthly storage after learning about the numerous issues she faced but they are also charging a 10% consignment fee for showing the home to potential buyers. Yep…that’s a perfect example of your typical manufactured home dealership. It’s all about profit. I know that many of you have your own manufactured home installation horror story because I’ve read many over the last 6 years. Let’s log them below and maybe one day we can use these stories to make a real difference in the industry. At the least, we can give potential home buyers a better idea of the situations that can arise. 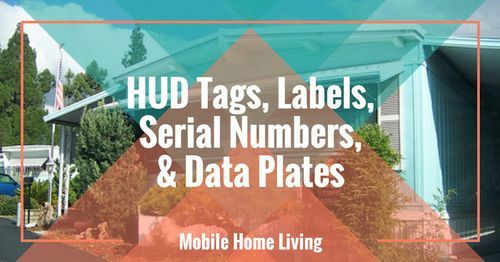 Manufactured homes play an important role in this country’s housing but there are some serious changes that need to be made. Note: We have purposely left all identifying details out of this article. This manufactured home installation horror story can happen anywhere. I like to think of us mobile home dwellers as pioneers. Counties love to see mobile homes moved onto rural ‘vacant’ lots or previous farmland as it increases the taxable value (county revenue), but they’re not so keen on MH’s within the city limits as it restricts the number of available lots for stick built homes – which generate more tax dollars. And, as occupancy increases in rural areas, so does business migration – again increasing the tax base. It is all about money – and for those fine marble and granite county offices – more is not only better, it’s the prevailing notion. As for ‘eye sores’ – just about every town across the US has stick built eye sores. But alas, for reasons unknown, MH’s always get the bad rap. I like the way you think, Mark! Great comment! Please tell me that this woman has hired an attorney or 2. She needs to sue the town for deliberately enforcing codes that are either non existant or do not apply to her situation. She needs to sue the dealership, which is taking advantage of her misfortune in getting the site that she wanted. Talk about double dealing!! But I feel the real problem is the AGE discrimination that she incurred. And to me, it is obviously her age. She was close to retirement, which would mean a fixed income in the near future. She only needed a small home, so the taxes she paid would be less. Her footprint would be smaller, so less electricity and gas for the utilities, less water from the township, and less cost in sewage. No one would make any money on this singlewide-versus a 4000 sft guzzler. Everyone involved in this fiasco felt that : “the little old lady can be pushed around, she doesn’t know the ropes, and there is money involved in this for every entity.” Pat needs to be calling her local bar association, quickly!! My heart goes out to her. As soon as you said golf course I knew where this was going. I’m not quite sure why she didn’t hire an attorney to begin with one that’s diverse in building and building codes. This would have saved her a fortune and headache. Has she tried going to HUD and getting any advise from them? Had this home been a modular not a manufactured there’s probably a good chance she’d be in her home right now. There’s still the stigma associated with manufactured, aka trailer, and people just don’t want anything to do with them which is sad but reality. I have to agree with both the conclusions and the timelines. 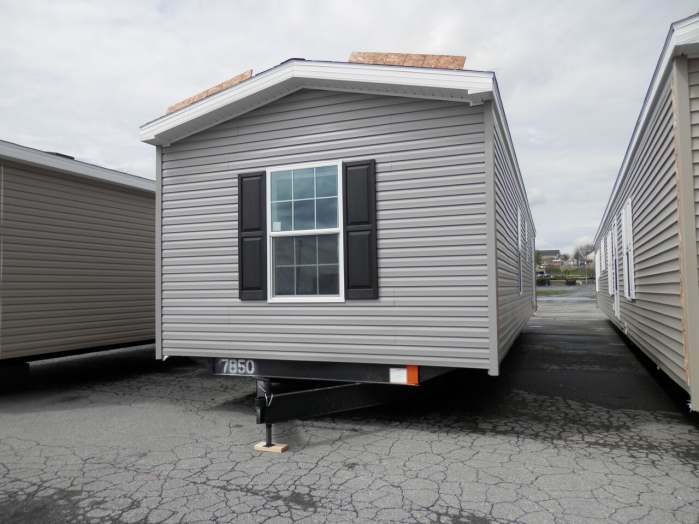 Mobile homes, especially single-wides, are not highly regarded by many people, primarily because, as the first step in manufactured housing, (too?) many are now reaching the end of their useful lives and ARE a blight on their surrounding communities. The reasons why are pretty obvious, and while current models are much better-constructed, they still are presumed to fall into the “cheap-as-possible” category of single-family housing. As far as solutions, besides removing the commission component from dealer sales, requiring that final payment (as much as the last 25%-33%) be contingent on a certificate of occupancy would certainly “motivate” the dealer to offer more assistance to their customers in dealing with both government and contractors. Imagine the uproar if typical subdivisions were built in that manner?! Something is sorely amiss here. I know Pat and she is quite intelligent and thorough in her research. While I’m not someone who is quick to pull the race/gender card, I’m finding trouble pinpointing any other reason for this debacle. I’ve built a 2500 square foot house on a lot I bought and didn’t encounter a fraction of these obstacles. This is egregious and embarrassing for the regulators and approvers. Thank you for sharing her story and I hope that it opens the eyes of anyone considering not only moving to that area, but also potentially erecting a structure. $45k over budget for such a simple plan is utter foolishness. Wow, I have never heard such an incredible bunch of crap, I can’t believe the mobile home dealership, nor can I believe the architect and everyone else involved in this circus. They should all be ashamed of themselves. I wonder what they would have done if Pat wanted to put a tiny house on that lot????!?!??!!! Mmmmm? I feel so bad for Pat and her lovely single wide home. It was lovely. I hope that Pat since then has found her piece of heaven and she can enjoy her retirement.